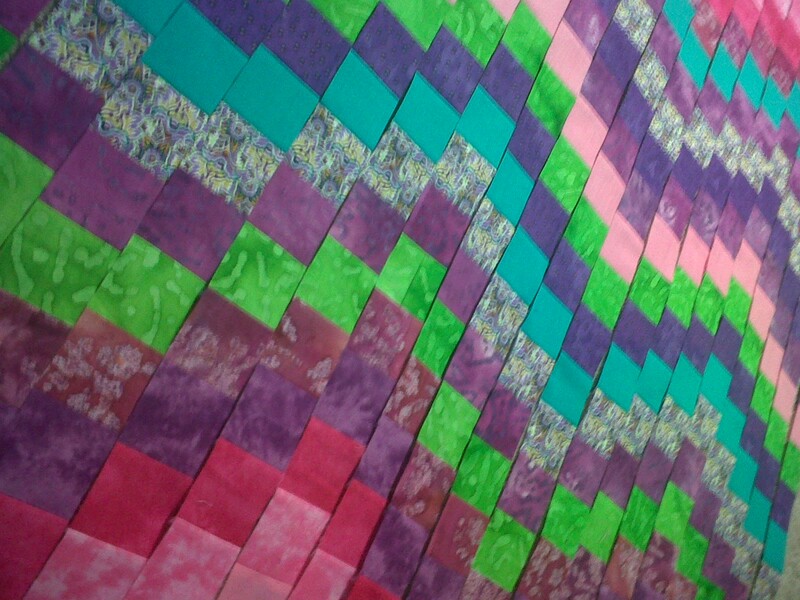 Sewing all of those giant strips was quite the task! Mainly, because I have a very light weight sewing machine that slowly moves towards me as I sew. I think with the next few quilts I sell I shall buy a JUKI! It took quite a bit of effort to continuously sew these strips. The electrician was coming back, so I only had about 2 hours to do this! So this is what I have so far, and as I was taking these pictures I heard the knock on my door, so once again, I am out of my sewing area and back in the living room! Anyways, I hope everyone likes the pattern so far! Click below for more pictures!